One of The Grove’s new workshop offerings to address this need is the Designing and Leading Change Intensive, co-led by David Sibbet and Gisela Wendling. This 3-day intensive combines the use of Grove tools with the application of emerging change frameworks to real-time participant projects. Gisela first heard of The Grove while a student of organizational development at Sonoma State University, from which she has a B.A. in Psychology and a Masters in Organization Development. Later she began using Grove tools when she was Director of Learning and Development at Netscape during the go-go years of Internet growth. Her relationship to The Grove deepened in 2005 after she received a Ph.D. in Human Development and Organizational Systems through Fielding Graduate University and returned to Sonoma State to direct the M.A. program in organization development. Gisela’s Ph.D. work focused on the ways in which transformational experiences in other cultures can be integrated back into our personal lives and the lives of our organizations and communities. She has written about this “liminal experience” and created frameworks and models that help leaders and groups to think about and creatively navigate change. Liminal comes from the Latin word which means ‘threshold.’ It refers to the in-between period within a transition process, a time where we are no longer the old and are not yet the new. 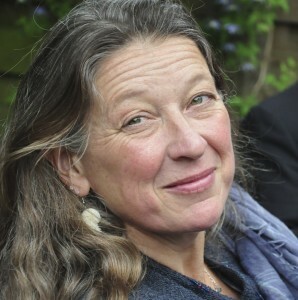 In addition to bringing change expertise to her role as Senior Consultant, Gisela is taking on another challenge: to help The Grove support its increasingly global network to become a true learning community. The intention for the GLEN (Global Learning & Exchange Network) is to evolve collaborative practices within and across organizations and globally to better address the central issues of our time—organizational, social and ecological. Gisela will be a huge asset in helping lead the future of The Grove and its increasingly global network of clients and practitioners. Check out Gisela Wendling’s website. Read more about The Grove’s Organization Change services. Good day to you. I am doing Leadership and Change work in organisations in Malaysia primarily and to some extent in South East Asia. I am wondering if in your new role, there could be opportunities that would enable us to collaborate in some possible way. On your Liminal model featured here, its depicted so well and I like to think of it as a “snapshot” of change because change by nature doesn’t halt. i.e, there is no strict start and end points as its like a continuum. 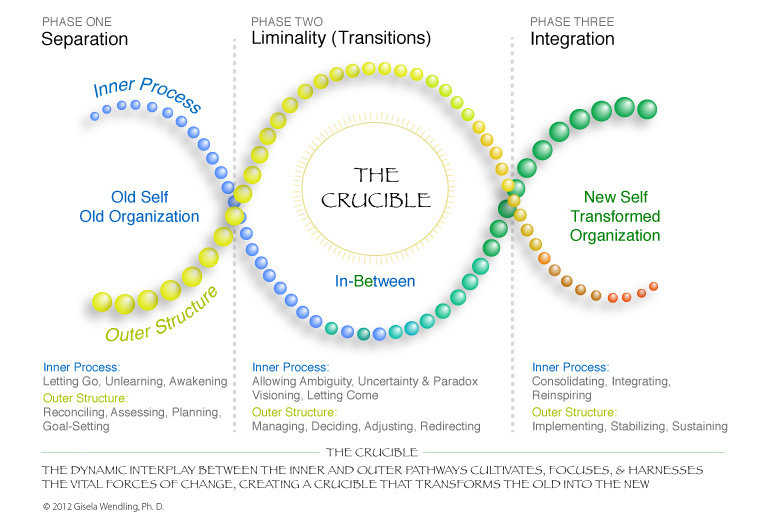 Hi Amarjit, The liminal pathways framework can apply to minor and major changes in our lives. And, there are those who consider our lives a liminal process with birth being the initial threshold into liminality and death as the threshold out of liminal phase. And, yes, change is a cyclical process that does not really halt. PLease feel free to contact me via the “contact” page and we can connect via email.